The Rocky Mountains offer many adventures for those looking to enjoy the stunning winter landscape, but the terrain is hardly benign. Watch CBC Calgary's discussion about the risk and reward of backcountry sports. ​The Rocky Mountains hold many adventures for those looking to enjoy their stunning winter landscape. But the terrain is hardly benign. 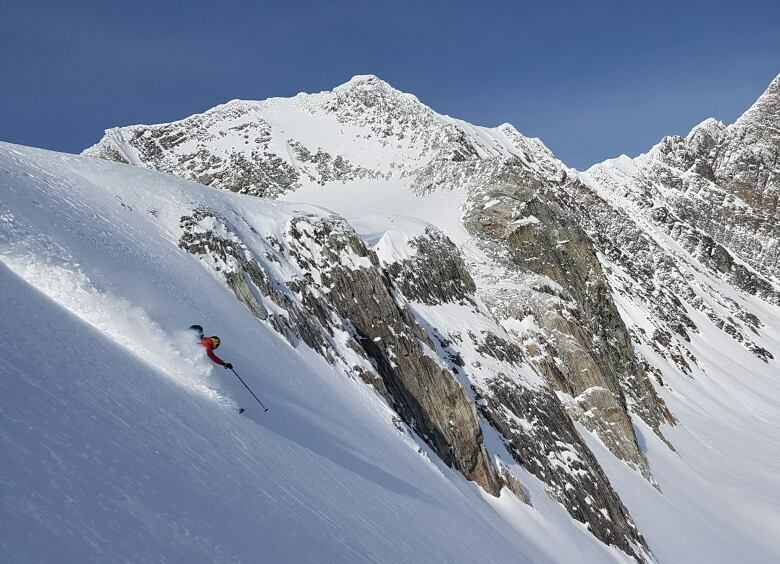 Skiing, snowmobiling and snowshoeing in the backcountry wilderness of Alberta and British Columbia offer Instagram-worthy photos and a physical challenge people are finding increasingly attractive. It's impossible to track hard numbers on backcountry users but those in the field say they've seen greater interest and bigger sales of gear. So how do those users weigh the reward with the risk? It's avalanche country, after all. "I think self-preservation is a huge component for most of us. But I think for some of us, the thrill of doing something, the challenge of doing something new and very difficult, overrides that," says sports psychologist and former Olympian Penny Werthner. "We are very good as human beings in rationalizing things, sometimes to our detriment." 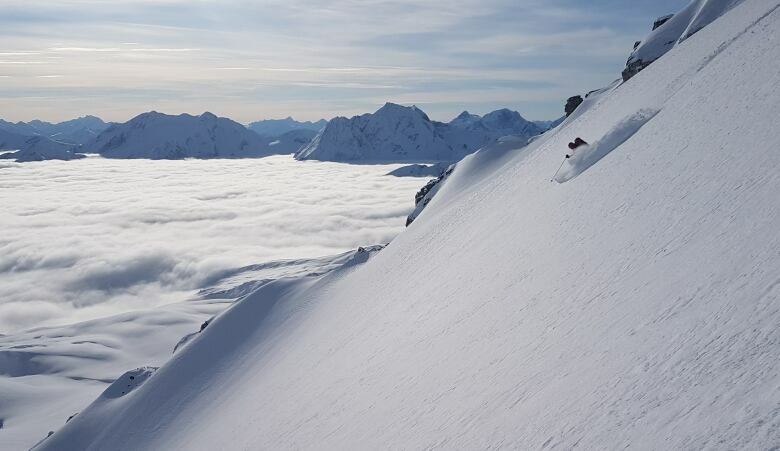 Karchut has backcountry skied for the past 15 years, what he calls the early end of the upswing in backcountry interest. "If I'm honest, I've had a couple close calls myself," he says. "You try to bring education and knowledge to the table … but mountains and the snowpack, these are hugely complex, ever-changing things, and there is a very real risk every time you go back there." According to Avalanche Canada, a total of 123 people have died in avalanches in Canada from 2009-18. Most were in B.C., which saw 102 lives lost. The second highest was Alberta with 16. Most die on the weekend, from Friday through Sunday, and past studies have suggested mainly young men are the victims. The bulk involved snowmobiling, with the second most deadly activity being backcountry skiing. 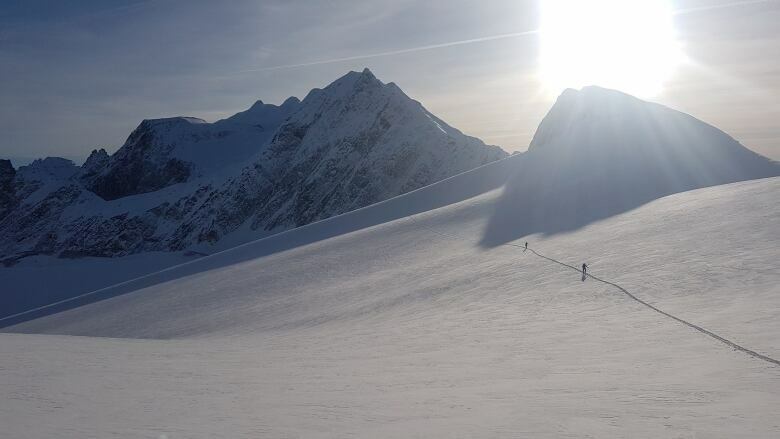 The last backcountry skiing death in Alberta was in 2016, when a pair of skiers turned around due to poor conditions on Mount Victoria. One was caught in an avalanche. 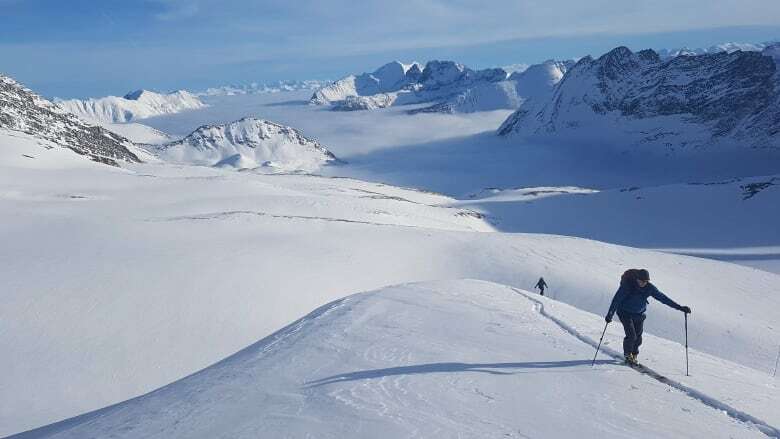 Overall deaths are on the decline, despite Avalanche Canada describing backcountry sports as becoming "normalized" and more popular. The group attributes the improvement to better awareness and pickup on avalanche safety courses. But each death — and near miss — weighs heavily on many. 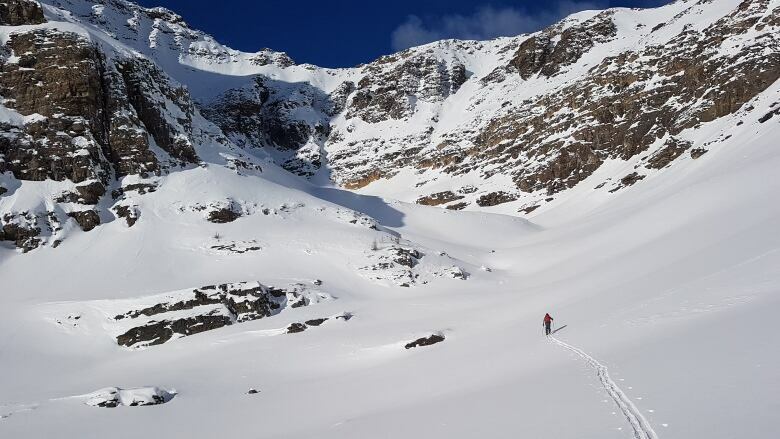 "It's never ho hum when there's a close call — ever," said Statham, who works for Parks Canada to rescue people trapped by avalanches. Statham said the threat of the deadly snowslides is always on his mind, even as he's enjoying taking turns against an undisturbed backdrop. He plays through scenarios while skiing, so he always has an escape route planned out. "The reason I do that is because one day it just might actually happen," he said. Statham now works as an adjunct professor at Simon Fraser University in avalanche risk management. It all comes down to human nature, says Werthner, who is dean of the University of Calgary's kinesiology department. Outdoor enthusiasts want to challenge themselves and have a hard time resisting a thrill, she said. "I wouldn't want that to stop. I would just want to ensure that they're doing their best to be prepared, and I think most of them are," Werthner said. "I think it's really unfortunate when things happen that can't be predicted, which of course is part of what makes it a huge challenge."